A request for a noble cause by Aakanksha Gavali. Please come out to Blue Martini on Saturday, May 9th 2015 to support the American Cancer Society! Blue Martini will be hosting a “Cocktails for a Cure” fundraiser to benefit the Northshore Relay for Life. Each event guest will receive a $1 drink ticket and complimentary appetizers and desserts. There will also be raffle prizes and live music, free parking and happy hour prices from 4:00 - 7:00 pm! Ticket price is $15 per person in advance or $20 per person day of event. Tickets can be bought in person or on Eventbrite. All of the proceeds from this event will be going to the Northshore Relay for Life! Relay for Life is the largest cancer-fighting movement in the world. Each year, more than 4 million people in over 20 countries take part in this global phenomenon and raise much-needed funds and awareness to save lives from cancer. Relay for Life is a life-changing event that gives everyone in communities across the globe a chance to celebrate the lives of people who have battled cancer, remember loved ones lost, and fight back against the disease. At Relay, teams of people camp out at a local high school, park, or fairground and take turns walking or running around a track or path. Each team is asked to have a representative on the track at all times during the event. Because cancer never sleeps, Relays are overnight events up to 24 hours in length. Nothshore Relay for Life raised $143,582 last year and had over 1,000 people come to support us! There are three main components of a Relay event. • Survivor's Lap: During the Survivors Lap, all cancer survivors at the event take the first lap around the track, celebrating their victory over cancer while cheered on by the other participants who line the track. 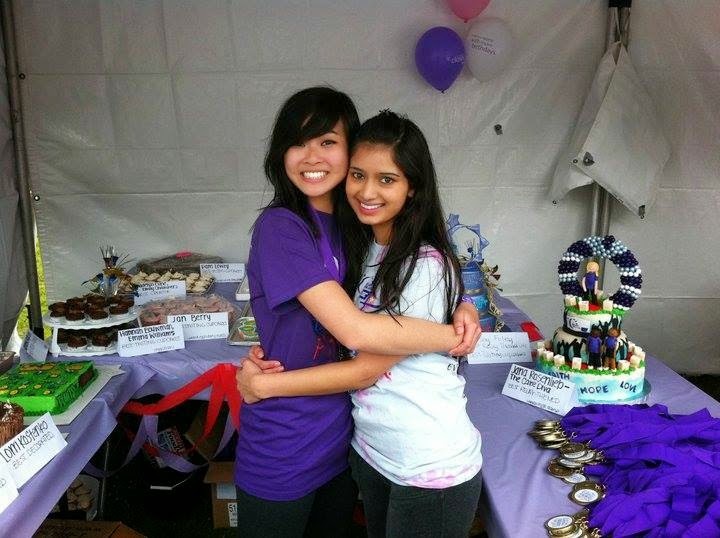 Relay for Life events also recognize and celebrate caregivers, who give time, love, and support to their friends, family, neighbors, and coworkers facing cancer. The survivors are then treated to a lunch banquet. • Luminaria Ceremony: After dark, we honor people who have been touched by cancer and remember loved ones lost to the disease during the Luminaria Ceremony. Candles are lit inside bags filled with sand, each one bearing the name of a person touched by cancer, and participants often walk a lap in silence. As people take time to remember, those who have walked alongside others battling cancer can grieve and find healing. This is a time that truly highlights the importance of defeating this disease. Each luminaria is personalized with a name, photo, message or drawing in memory or honor of a friend or loved one who has been affected by cancer. Each luminaria candle represents a person. They are our mothers, fathers, sisters, brothers, aunts, uncles, nieces, nephews, friends, coworkers, and so many others. • Fighting Back Ceremony: This emotionally powerful ceremony inspires Relay participants to take action. The Fight Back Ceremony symbolizes the emotional commitment each of us can make in the fight against cancer. The action taken represents what we are willing to do for ourselves, for our loved ones, and for our community to fight cancer year-round and to commit to saving lives. This year marks my 11th year participating in Relay for Life! I started Relaying when I was 13 years old, and haven’t stopped since! I am on the planning committee for the Northshore Relay for the 4th year this year, as the Survivorship and Mission Delivery and Education Chair. As the Survivorship chair, I get community cancer survivors involved in Relay for Life and organize the Survivor’s Ceremony and Banquet. As the Mission Delivery and Education Chair, I ensure that the ACS’s mission is well integrated into the event and educate the community about resources available to them and about prevention, detection and treatment options and ongoing research that is funded by ACS. I have also held other positions on the Relay for Life committee and been a part of other ACS planning committees such as their Annual Hope Gala and a Washington State Ambassador for the Cancer Action Network in the past. I love being a part of an organization whose goal is to one day see a world where no one will have to hear the words “You have cancer”. Relay means far more to me than just raising money for a good cause - it is a way for me to honor and remember my friends and family. It is a way for a community to comfort one another in their times of grief and celebrate in their times of joy. And it is a way to take up the fight against cancer, to change our future, so that one in three people will not be diagnosed with cancer, so that we no longer have future reasons to relay. There is nothing I can do to bring back all of those that have lost their battle to cancer. However, I can dedicate myself to celebrating their life, remembering how hard they fought, and fighting back. Watching our community come together and share their passion for living in a cancer-free world is what makes Relay one of the greatest events to be a part of. I am grateful to be a part of our Relay family and for all of the support we have gotten! My goal this year is to raise $5,000 and introduce as many people as I can to Relay for Life and have them be a part of this incredible event! 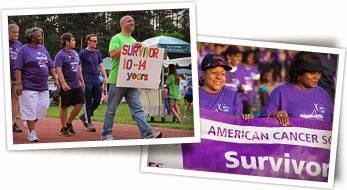 Relay For Life will be held on May 30, 2015 at Skyview Junior High in Bothell, WA. Please contact me at CupcakeCampSeattle@gmail.com or (425) 780-5062 if you have any questions or would like to be a part of Relay. For more information about the event please CLICK HERE ! Good luck with this noble cause. Wow such a great cause and thank you for supporting it! Great work for a noble cause.